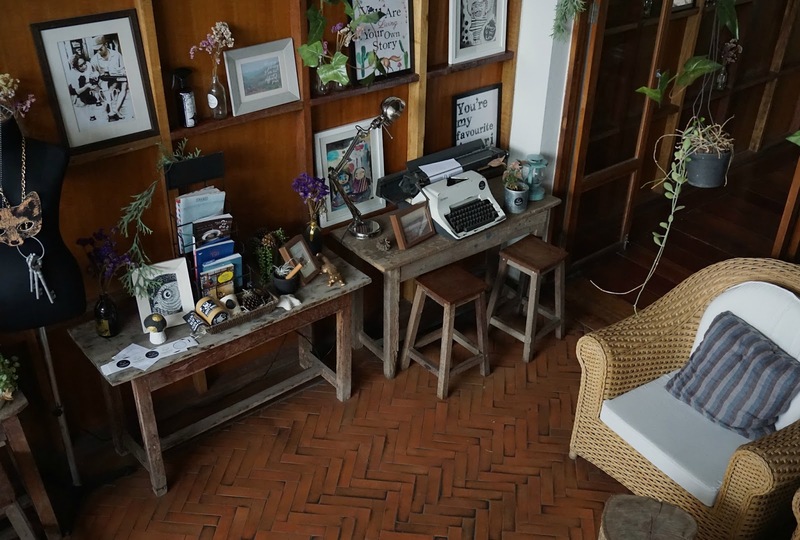 Having spent a while in Chiang Mai (and completely loving it), we finally accepted it was time to move on and make steps towards Laos. We decided we wanted to take a slow boat down the Mekong from the Thailand/Laos border to Luang Prabang. But before that, we arrived in Chiang Rai from Chiang Mai by minivan - costing 350 baht each (£7 in May 2016) and taking a few hours. Some in our bus were going straight on to the Laos border, so the driver stopped at the White Temple briefly en route for those who weren't stopping to get a quick glimpse. 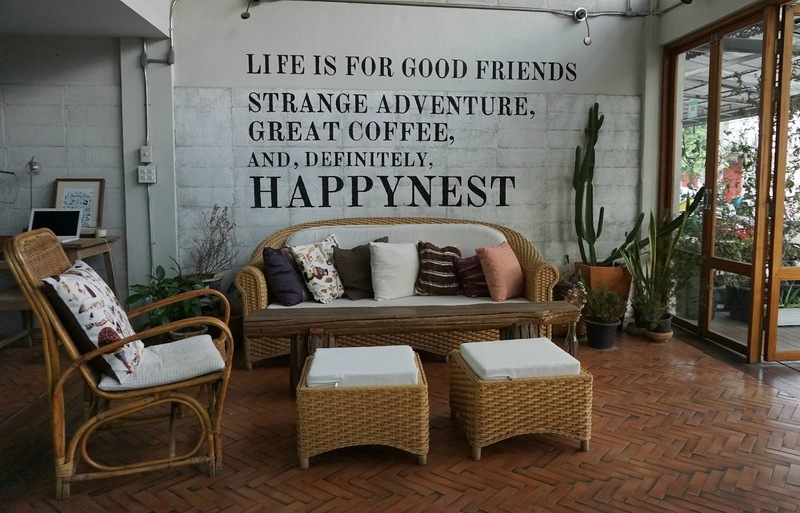 We stayed in Happynest Inspiring Hostel, and yes I was sold on the name! A bargain at £14 a night with a private room and shower, this felt more like a hotel. Rather than paying to join an organised tour, we hired a motorbike for 250 baht (£5) for the day and drove to the White Temple. 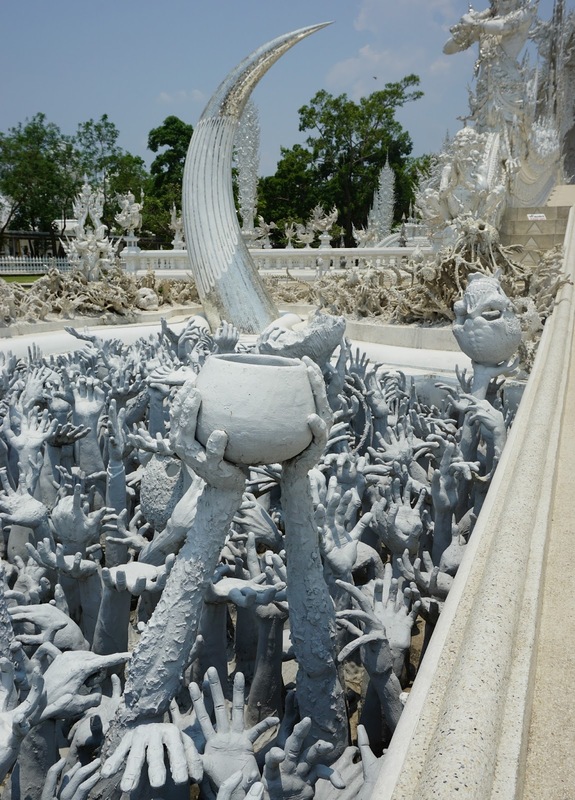 The White Temple, or Wat Rong Khun, is actually an art exhibit masquerading as a temple. 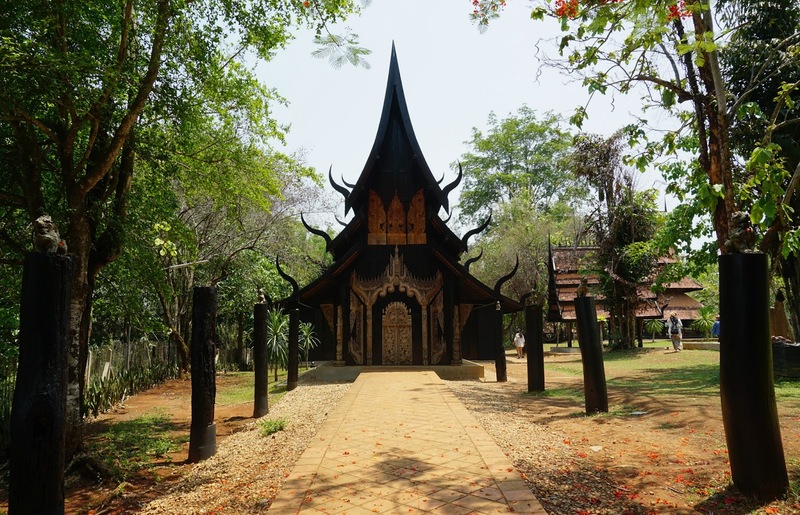 The original temple fell in to disrepair and rather than repairing, artist Kositpipat completely rebuilt the temple as a replica. It is free to visit the Temple, however since an earthquake in 2014 visitors are no longer able to enter in to the main section - you can check out the outside and take snaps, and there are other buildings to enter. It really is quite a spectacular sight; walking across the small bridge (apparently representing re-birth...) over a moat filled with koi carp you are flanked by hands and skulls in bright white. Completely bizarre and a surreal experience, given the conservative nature of most Thai temples and culture! The Temple closes for lunch, but we found this a great time to get some good photos without hundreds of tourists in them! Be sure to wear respectful clothes; women especially should cover shoulders and knees, or be denied entry - it is still seen as a place of worship. After visiting the White Temple we drove north to the Black House, or Baan Dam. 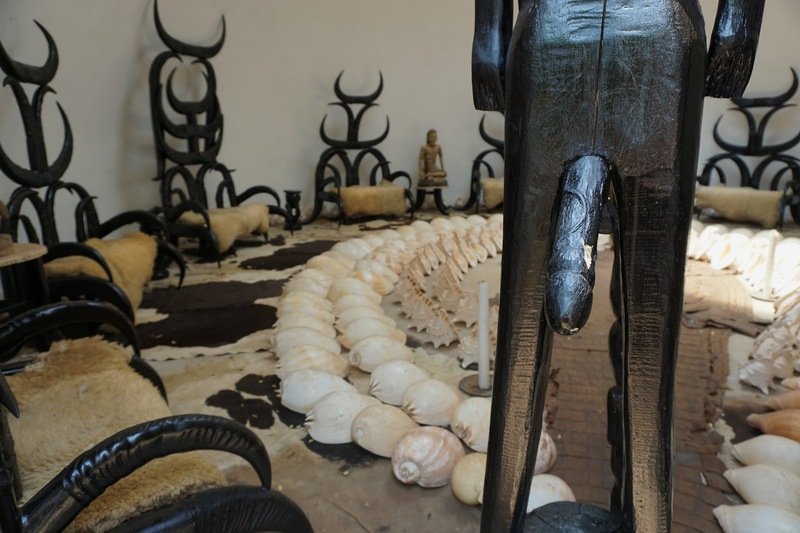 Another art exhibition, this time created by Thai artist Duchanee, is seemingly a weird and wonderful celebration of all things morbid. 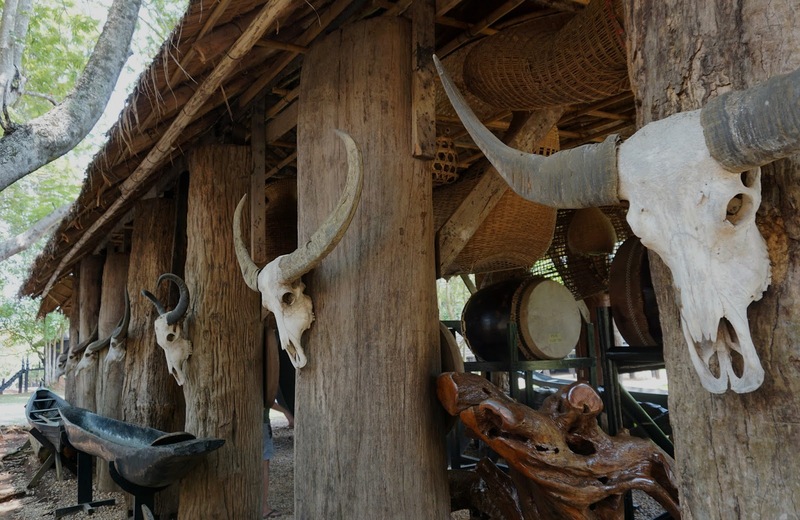 Animal skulls, skins, bones and hides fill huge teak buildings, and although not really knowing what was going on, I enjoyed its surreal bizare-ness. For lunch we stopped at Chivit Thamma Da; a cafe meets bistro meets spa. 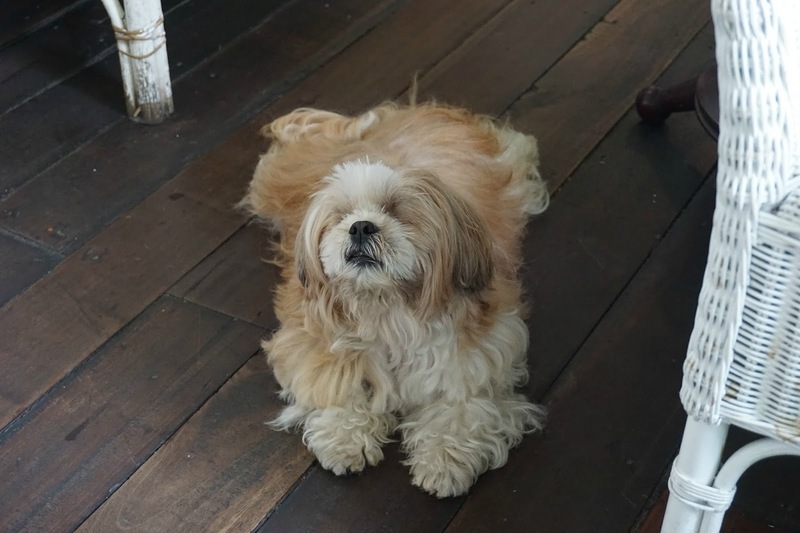 Great food in a beautiful setting, with a cute resident pooch for good measure. Well worth a visit. After spending a couple more hours driving around Chiang Rai and surrounding areas, just following our nose, we headed back to our hostel. We dropped our bikes back, and walked in to town for some dinner. We headed to Chiang Rai's night market, hoping to experience the atmosphere we'd found and loved in Chiang Mai's incredible night market(s) - but were sadly left disappointed. A few stalls selling various bits and pieces we'd seen in every other part of Thailand we'd visited and very little street food, we headed to a Trip Advisor recommended nearby restaurant. One tom kha gai and a red duck curry later, we gave the food section of the night market another go after hearing reports of traditional dancing being on offer. Cue the most hilarious beauty pageant style situation, with a bizarre dance routine and sing-along - completely weird but amusing at least! 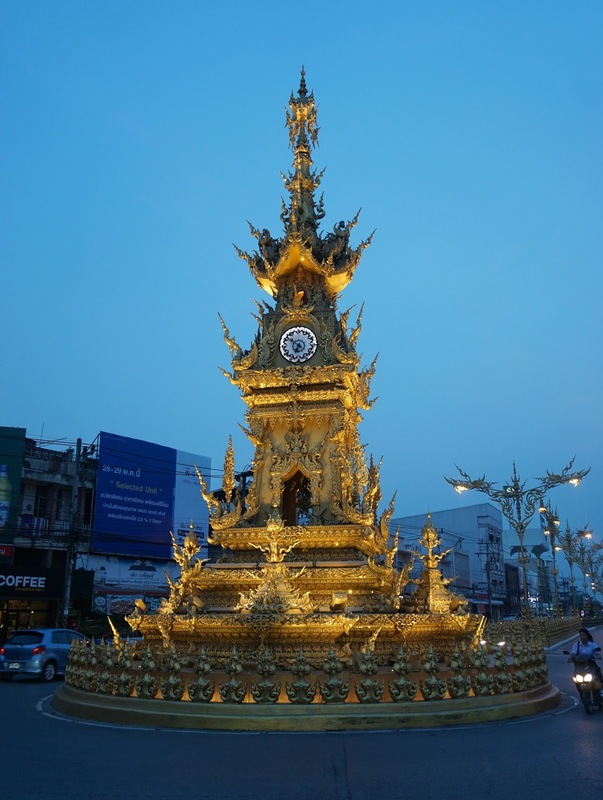 We ended the night buying mango and sticky rice from a street seller, before going to check out the singing clock tower (yes, really) on our way back. We had an early morning planned with a trip to the Laos border to catch a slow boat down the Mekong to Luang Prabang. 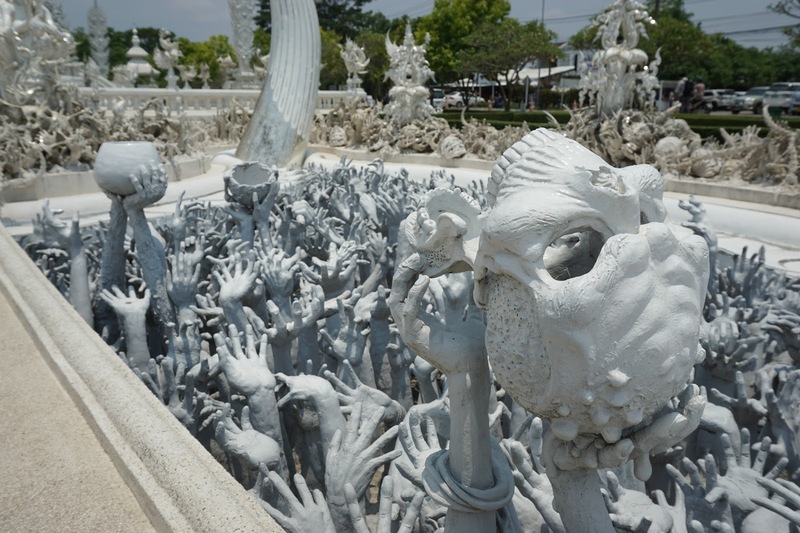 Chiang Rai is a weird place - not just the unusual art exhibits and entertainment scene - with not a huge amount going on. 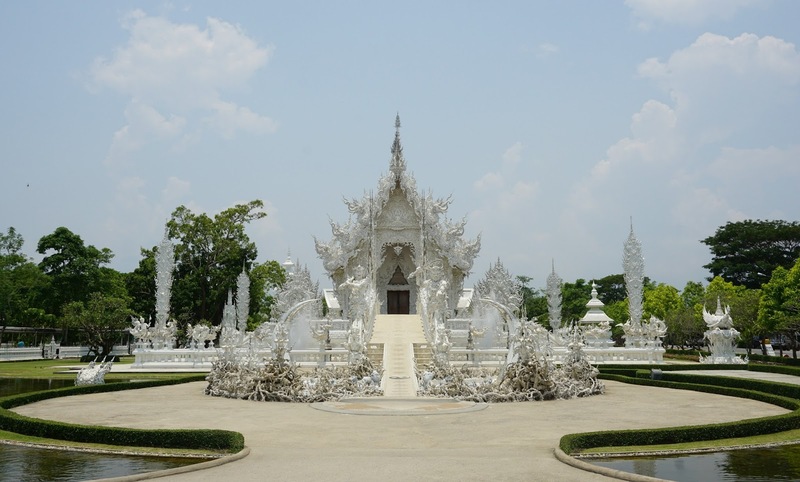 It's worth visiting the White Temple at the very least though, which you can often do if you book a bus from Chiang Mai to Laos as most make a stop off there for half an hour or so. Otherwise, I wouldn't say it's a must-visit, necessarily. I will be blogging about how we got from Chiang Rai to Luang Prabang using public transport soon, stay tuned!